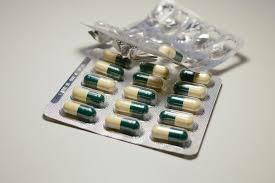 Home > Article Review > BMJ recommends against full course of antibiotics–End of a medical mistake? BMJ recommends against full course of antibiotics–End of a medical mistake? This week’s British Medical Journal has an article “The antibiotic course has had its day,” by Llewelyn et al., that recommends against taking antibiotics for a full standard course. It goes further to challenge the WHO advice to take antibiotics “exactly as prescribed,” and suggests that cessation of symptoms is a better indicator of when to stop. This is welcome, and about time. However the bad advice doctors have given their patients for decades results from ignorance about evolutionary biology. The BMJ article does not use the word “evolution” or the phrase “natural selection.” It does not cite the work of evolutionary biologists who have analyzed this problem for years. Instead, it relies on brute empiricism. When will medicine incorporate sophisticated evolutionary biology so it can avoid making such mistakes? Randy asked me to add a comment on what I think of the Llewelyn paper. I like it a lot. It is an excellent piece of rhetoric. Articles like these really make a difference. Carefully argued modelling and experimental papers in the scientific literature simply don’t get the traction needed to generate global impact. Sometimes, its important to go after simple messages simply, and in a medical journal. It also helps when MDs have the megaphone. All power to them. I very much agree with the Llewelyn et al.’s conclusion: the old advice (finish the course) makes no sense in theory and is unsupported by data. But their theoretical argument for doing away with 70 years of public health messaging boils down to ‘less is better’. Probably it is, but why, when, how much less? Without a quantitative understanding of the evolutionary forces involved in particular settings, rationally modernizing current practice is impossible. Other areas of evolutionary science are also dominated by data-poor sloppy theory. But none have as much impact on human well-being. There is so much ev med work to be done on patient treatment regimens. The knowledge gap is vast.